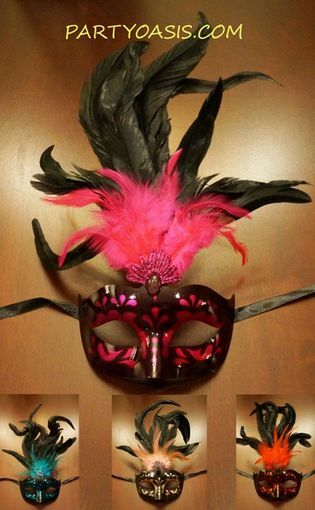 Show off your style with this gorgeous masquerade mask. It is beautifully hand painted, and covered in a glossy lacquer finish. The forehead is adorned with a sparkling jewel, fan, and topped with matching color feathers, and long black feathers. Dimensions are W 6.25" x H 12"